There may have been a ton of businesses offering Cash For Car Removals services, but only few remain true to their promises. At Cash for Cars VIC, we offer our customers a very easy and convenient way to sell their used and damaged cars to us and receive instant cash offer up to $9,999 Melbourne wide! You won’t get pennies in return since we believe in paying our customers the actual worth of their cars. If your car is in a good condition; isn’t running but has components intact; hasn’t rotten to the core; its metal can be salvages – we will make sure to take into account each and everything to maximise payouts for you. Get $9,999 in instant cash for cars – right on the spot! 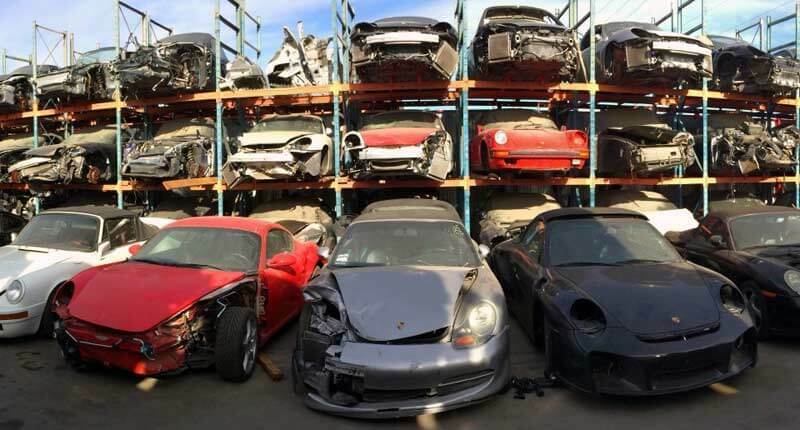 Cash for Cars: We are your premium choice when it comes to selling your old, unwanted, used, wrecked, broken, accident, fire damaged, flood damaged, or scrap car. Car Removals: Get car removals service with us and you won’t have to pay us to get it removed because our removal service is Free. We will pay you to get rid of your scrap car from your garage. Junk Car Removals: Is your car a complete piece of scrap? Don’t worry because it is gold for our wrecking yard. Contact us and avail our Junk Car Removals service to get instant cash to be paid on the spot! Cash for Scrap Cars: We offer our Cash for Scrap Cars service to everyone in Melbourne to make the city a little greener. Get rid of your scrap car and help us make the environment cleaner and breathable. Scrap cars cause danger to you, your family and the environment. Cash for Old Cars: Have a decades old car that you believe won’t bring you any money? Don’t worry. You are now dealing with the experts at Cash for Cars Vic who believe in getting the very last ounce out of a car, making sure your payouts are at the max. Call us today and get paid by availing our Cash for Old Cars offer. Damaged Cars Removal: Your car got damaged in an accident? Flood? Fire? Or Something else? As long as you’re willing to sell your car, we are more than happy to buy your damaged car. All we care about is giving you top dollars and some piece of mind. Get our damaged cars removal service today. Cash for Wagons: If you want to get rid of your wagons, sell it for top cash to us. Cash for Cars Vic also deals in used, damaged and scrap wagons, so don’t forget to contact us when you decide to sell your wagon. Cash for Trucks: Trucks are no big deal for us since we have the right equipment to get even the largest trucks removed from your premises. Even for the worst condition of truck, we will still offer you a Free removal, and top cash for your trucks! Free Towing: Towing is on us when you are availing any offer from Cash for Cars Vic. Cash for Caravans: We also offer cash for caravans, ensuring you price up to $9,999 in instant cash along with free removal. Cash for Camper Vans: Own a damaged camper van? Don’t worry. Talk to us and turn that scrap into some real cash, real fast. To avail our services, call 0423 199 008, or send us an email at info@cash4carsvic.com.au.